I’m exhibiting at the Pulse tradefair (14th – 16th May) – if you’re reading this and would like to come and visit me, I’m going to be on stand B36 in the Makers section – I would love to see you! You can also see my exhibitor profile here. 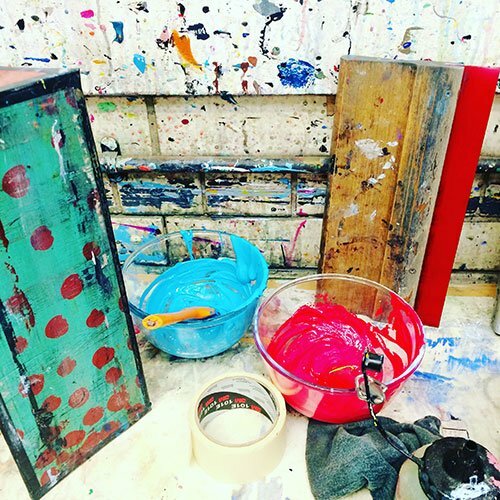 I wanted to write my first blog post about my preparations for the show and my feelings about exhibiting. First of all, I think it’s worth giving a bit of background about where I am in my business and why I felt this was a good step for me. I started Kate & The Ink in 2013 which feels like a long time ago now. In many ways however I feel that I am actually just launching the business. 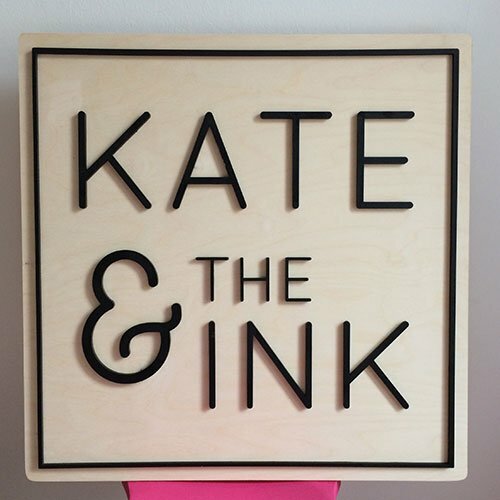 Kate & The Ink has definitely been a side project for the last four years as I also worked full time. I was lucky enough to have some really loyal shops (The Red Door Gallery (Edinburgh), Pencil Me In (Elgin) and Century General Store (Edinburgh) who supported me and my cards and prints sold well through them. Fast forward to July 2016 and the arrival of our gorgeous wee boy Fergus. Workwise, I decided to give Kate & The Ink a proper crack for lots of reasons; mainly because I love doing this and also because if it works, it could give us some flexibility around childcare! Is this not the ultimate dream of the modern day parent?! So folks, watch this space. I’m trying it! Anyway, I visited Pulse at Olympia a few years ago and felt like it was a good fit for me. The 2017 show has a new section called ‘Makers’, “dedicated to emerging creative talent”. While the thought of little old me exhibiting alongside many of the brands I follow, swoon over on Instagram and buy is truly, TRULY TERRIFYING, I really hope it will be a great next step for my business. I have always found approaching retailers quite difficult and so having a presence at a retail trade event will, fingers crossed, be a good stepping stone. I booked the show in September last year. Let’s not mention the fact that I was a sleep deprived mess, covered in baby sick and definitely not thinking straight. By the time Christmas rolled around and the months were slipping by, I had a mini panic and lists upon lists were scribbled. I love lists. I’ve been focusing on building up the product lines that I know already sell well (my occasion cards and prints specifically). I have also added some new ranges and am excited to launch a set of 3D cards that come to life when you wear red/blue anaglyph glasses. These really appeal to my love of retro design. Sarah at Pencil Me In kindly trialled a few of the 3D designs with her customers in Elgin and they proved a real hit! Alongside building the product lines, I have been working on my stand design (ordering things like vinyl wall lettering and signage), designing my wholesale catalogue and line sheet and creating marketing materials. It has been a lot of work – much of which has been crammed into nap times and evenings! The show is in three days time and while I’m massively nervous, I’m also excited. I could do with the travel and set up to go smoothly and of course, to have a busy, successful show. Not too much to ask?! All of the the resources on the Indie Retail Academy are excellent.